10:30 Gathering of cortege in front of Girne Municipality. 15:30 – 15:40 Modern Dances; Group GA – SAD . 16:40 – 17:20 Illisuon show; Dennis Apathe . * Gift raffles : Accommodation for three couples. * Free paragliding experience for one person. 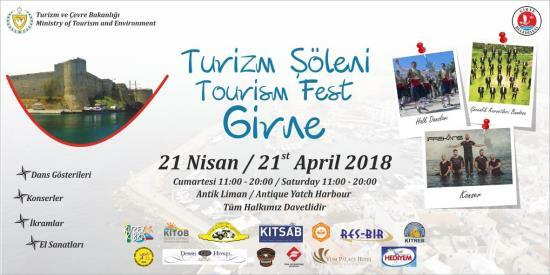 * Free Girne Yacht Tour for 18 people. * Free meal for 6 people at a restaurant.